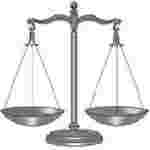 e- Court recruitment 2017 notification has been released on official website www.ecourts.gov.in for the recruitment of 08 (eight) vacancies for Peon. Job seekers should apply on or before 16th December 2017. Interested and eligible aspirants should apply in application along with complete bio data, original testimonials and two recent passport size photographs send to the District & Sessions Judge, Faridkot, Punjab on or before 16.12.2017.